"I had recently just found out about KARITY by scrolling thru the internet and I don’t even remember what I was looking at when I seen the picante pallet but I went and did Some research and really loved what I saw about the company in general and how they are a Cruelty free make up company and they actually give back to animals! That’s awesome for me because I’m a Pitbull mom and I give back a lot to pitbull groups. So I said I’m gonna give them a chance let’s see what they’re all about. I placed my order and I was so surprise when I got my package it came really quickly unfortunately my package came empty somewhere along the lines of the Postal Service the products ended up coming out of the package. I contacted customer service no problem they would ship me another one out no cost to me they were so sorry. All I could think to myself is WOW this company is amazing! No argument, no hassle, no questions all they We’re worried about was that I didn’t get my items and they were so sorry that they wanted to hurry up and rush me out a new package. So today I got my package and let me tell you these items are absolutely amazing! 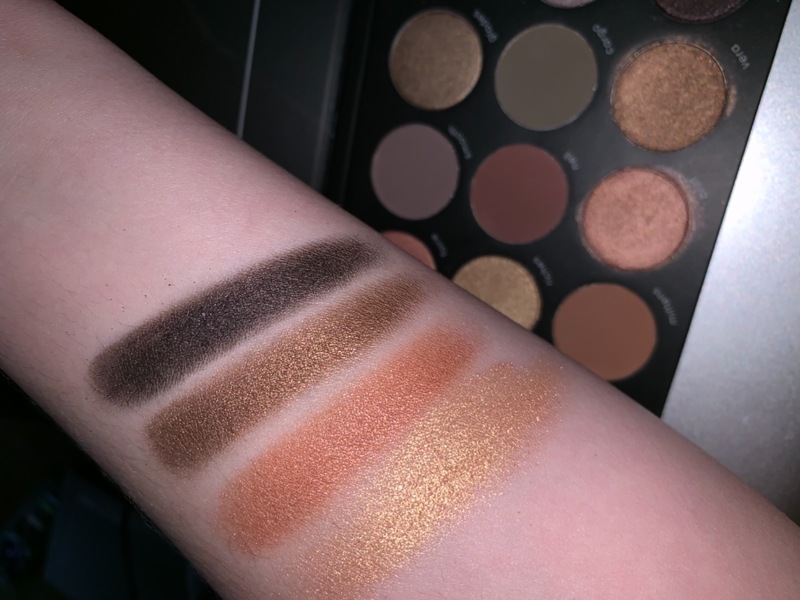 The colors are beautiful the pigment in these eyeshadows are in sane they feel creamy but not too creamy I absolutely love the formula of these products. I also got two of their liquid lipsticks of their 90s collection and I absolutely love them takes me back to my childhood! So if you’re looking for a quality company that stands behind their brand and really cares about their customers I definitely will forever be a customer with this company and I will be telling all my friends about them! Thank you KARITY for making me feel like more then just a customer !" "Great price, great formula, beautiful colors." "Product is awesome every time I've ordered. All the eye shadows are super pigmented. And the prices are AWESOME!" "i love it!!! will be back to buy more! " "Beautiful, smooth, colors. Love it!" 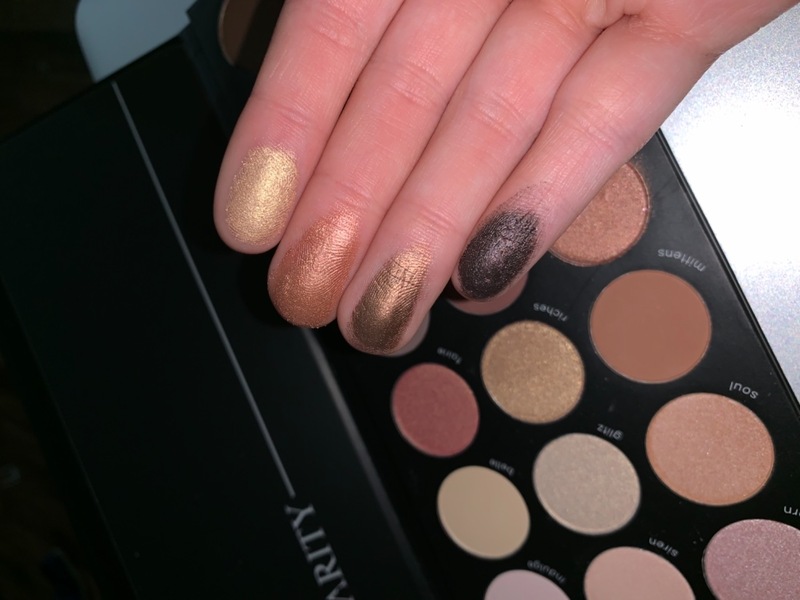 "I have been buying the Karity eyeshadow since the very first one was introduced. The pigmentation and quality are unmatched, especially with the beyond affordable cost. I just tried 2 of the matte lipsticks and even with eating, drinking, or brushing my teeth, the color lasts and most importantly doesn't feel sticky or clumpy." 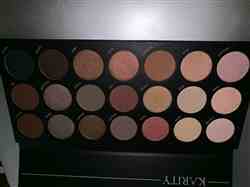 "The pallet of 21 nudes is amazing with high pigment and little to no fallout. The liquid lipstick is so smooth, non drying, and lasts all day." "Love this color and all the lippies this one and "Diana" are my 2 favorites so far for everyday wear. " "This is actually the first lip product I have bought besides lip balms or clear gloss, and I love it! It lasts all day, was super affordable, and I feel like this red would look great on any skin tone! It’s so comfortable to wear and nondrying, I usually forget that I have anything on at all. " "I love how pigmented the color is. Absolutely perfect for an everyday look! My favorite palette now. Highly recommend to everyone, you cannot go wrong with this brand. " "Best liquid lipstick I have used!! Smooth velvety application and lasts all day." 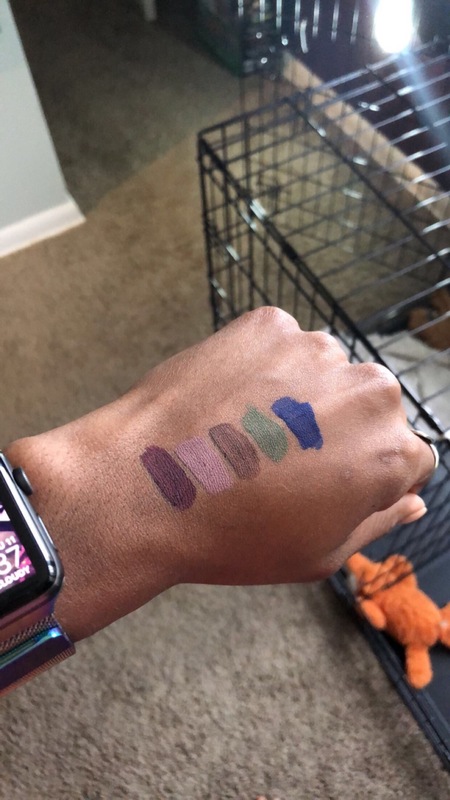 "The lipsticks are beautiful, long lasting, kiss proof, food proof and lightweight and the come as you are pallet is stunning, gorgeous pigment and let’s you play with colour Plus the animal friendly vibe is great"
"Loved the Color and how it stayed on for Hours without smudging"
"I love your palettes. The colors and wearability are great. The lip glosses wear a long time." "Everything is amazing. I will be posting another review. My last one was six months ago and I am still religiously wearing Karity. Goodness, lip locks are amazing. " "It stays on great not sticky or flakey definitely going to buy again"
"I love these lipsticks. 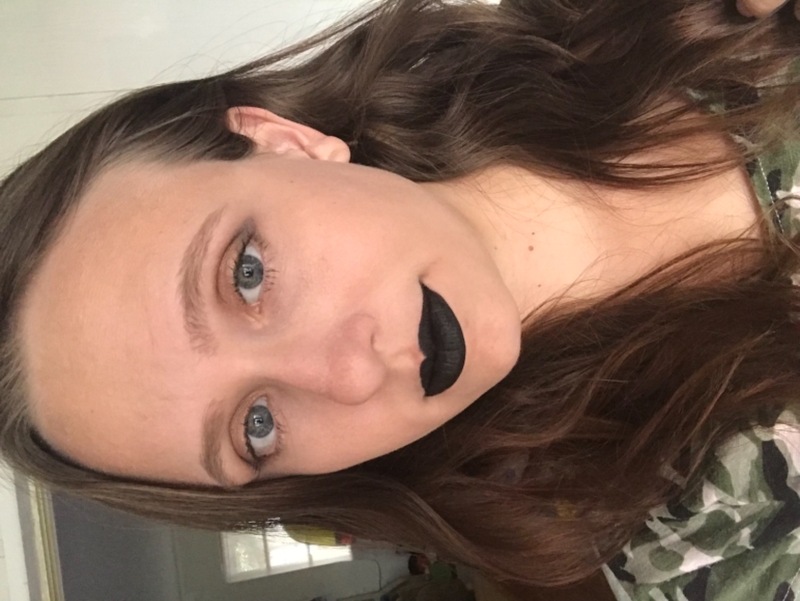 Karity has perfected the perfect liquid lipstick formula! !Great color payoff. They feel so luscious on my lips. The matte liquid lips don't dry down and make your lips feel dry and or tight. Olivia is my first lipgloss from Karity. I don't usually like glosses but, I knew I needed to try these. I am definetly not disappointed!! The color is fantastic, the formula isn't :"sticky" when you talk . Karity liquid lipsticks and now lipgloss' are my all time favorite." "Quickly and easily removed my makeup." 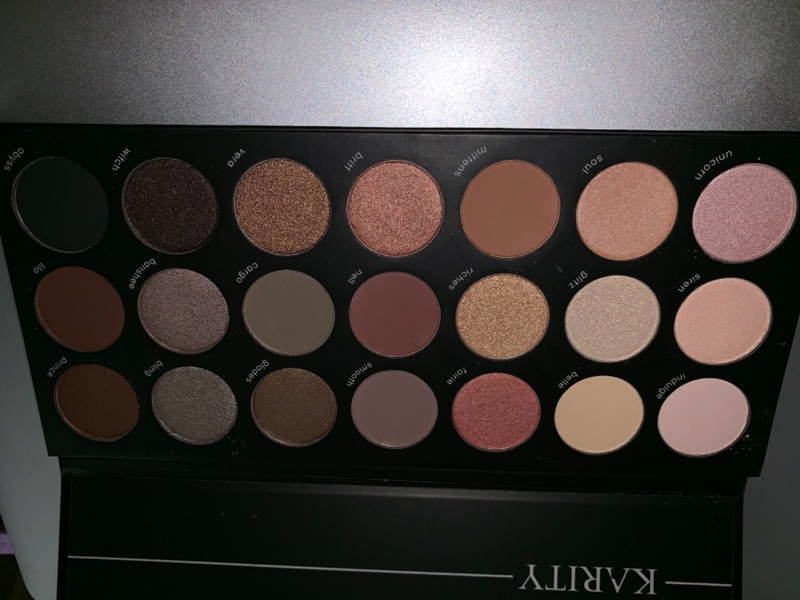 "This is my second (and third because I ordered the come as you are palette as well) from this brand and I continue to be pleasantly surprised! It doesn't get much better than vegan, cruelty free with an amazing formula!" "I’m an avid makeup collector/ hoarder and, being a Midwest girl, my skin gets very dry in the winter and very dewy in the summer. I’ve been able to try this color and formula in multiple stages of weather/ times of day/ occasions and it’s incredible. I’m shocked they’re so affordable (and naturally I went on to purchase a dozen more shades). I can’t wait for more releases!! " "I love this 90’s inspired palette! The colors are great and I LOVE all the green variation!" "Omg I have to say that this makeup brand is amazing! I am not disappointed at all in any way! Can’t wait to have all of Karity’s palettes! So please Karity release those palettes because I can’t wait to try them! " "Absolutely loved it! Wore it to work and then out to yard sales and got greatly odd looks but still smiles! Loved it!" "love the names, love the colors, easy to use. "